Tough work requires tough apparel, and these Timberland Pro Men's Gunmetal TB0A12BTD97 Canvas Son of a Shorts mean business. They're built to last through strenuous, laborious working hours, but these are also designed with a super comfortable fit and a casual appe ... (see full details) (see specifications) #TB0A12BTD97. Tough work requires tough apparel, and these Timberland Pro Men's Gunmetal TB0A12BTD97 Canvas Son of a Shorts mean business. They're built to last through strenuous, laborious working hours, but these are also designed with a super comfortable fit and a casual appearance, so you can wear them outside of work, too. These men's gunmetal grey shorts are constructed to bring you comfort because they're not too tight or too loose. Featuring an original fit, you'll have ease of movement at the job site. When you're working, you don't want to look like you're uncomfortable, and you certainly don't want to feel uncomfortable, so the original fit is the way to go. In addition to the pleasing fit, the Timberland Pro canvas shorts are made with an 11-inch inseam, and the design is super soft because this pair is crafted from washed cotton. The process of garment washing makes the already super-soft cotton even softer. But the measures of comfort do not stop there; these canvas work shorts are designed with a crotch gusset that offers a more natural range of motion. You’ll certainly appreciate the increase in room and movement as you work. Aside from softness, ease of movement, and an overall enjoyable wearing experience, these men's cotton shorts are great for enduring hard work. The Timberland Pro men's workwear is made from 9.5 ounces of 100% cotton canvas, and as far as materials go canvas is very tough. It doesn't rip, tear, or wear down easily. In addition to the canvas composition, the grey "Son of a" work shorts are ideal for working people such as yourself because they're designed with multiple pockets. 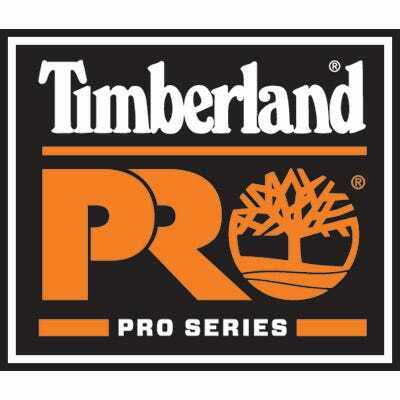 Timberland Pro included pockets with enough space for tools, coins, your cell phone, and much more. When you're working, whatever you need will be within arm's reach. Whether you’re working hard or hardly working, you can do it comfortably with these Timberland Pro Men's Gunmetal TB0A12BTD97 Canvas Son of a Shorts. Get them here at Working Person’s Store today for long-lasting quality in your warm weather workwear. Timberland Pro Shorts: Men's Gunmetal TB0A12BTD97 Canvas Son of a Shorts is being added to your cart.